There are many social media post dangers that Internet users must be aware of to protect themselves. 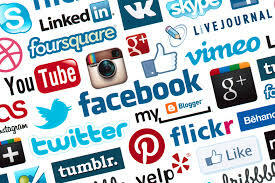 Facebook, LinkedIn, Pinterest, Twitter, Google+, Tumblr, Sina Weibo and Mixi are some of the leading social sites across the world which contain many personal information that site users have voluntarily shared. There are serious consequences for revealing personal information through social media sites. Recent studies have revealed that identity theft is a major problem affecting millions of people across the world. Additionally, the issue costs the victims substantial amounts of time and money to repair or recover their identity. Although many people are growing conscious of the problem of identity theft and fraud in social media, the problem is still under-addressed. There are various ways that online fraudsters utilize your personal information fraudulently. For instance, when you update your status on a particular site that you are travelling out of town or you are going on a vacation, cybercriminals can take that opportunity to rob your house or even your loved ones. Another common approach is the use of video and photo sharing sites to stalk or steal your identity. Many people tend to share deep personal information like their interests, properties, family, hobbies and friends on these sites. The cybercriminals can gather this information to create a profile resembling yours then use the information to solicit assistance in your name. Online scammers often create fake profiles using photos that they hijacked form legitimate profiles and then use the same to collect critical information from users. Usually, the fake profiles are designed around recruiters or human resource professionals offering appealing employment opportunities. Once the scammer gains your trust, they will then ask you for sensitive information or lure you through links that steal this information. Apart from fooling you to provide them with your personal information, cybercriminals have developed sophisticated malicious software that they can use to collect your personal information online. Whether you have voluntarily posted personal information, social media risks are real and growing. Information you post on these sites can be used to impersonate you, purchase products in your name, or even apply for a bank loan and leave you to cover the bills. The scams using this information are endless. Even though social media risks are real and serious, this does not mean that you cannot enjoy or use these platforms productively. On the contrary, all you need to be is just more cautious. 1. Never provide your sensitive personal information like license and social security numbers on social networking platforms. 2. Whether you are very active on social networks or not, you should ensure that the personal information you post or the one in your profile is as little as possible. For instance, you do not need to use your full name or actual date of birth on social media. You can tweak your name by using the one name plus a nickname. In this way, you can minimize the amount of actual information that people can glean about you. Limit public display of information like your hometown, address, primary email address, and college and high school graduation among others. 3. When extending or accepting invitations, ensure that you have sufficient information about them. For instance, make friends with people you know, like colleagues, those whom you have met or have relations with. Numerous friends on social networks might not necessarily add value to your online social life. 4. Always monitor your credit and Google your name regularly to ascertain whether your information is being used in any malicious way. 5. Avoid downloading apps and images that you cannot verify or those which seem suspicious. They might contain malware used to hack into your profile or system to steal sensitive information. Social media networks have revolutionized the way we interact. Apart from communication, they offer a multitude of opportunities for business people and others. Although cybercriminals are keeping up to date with developments in social networks to steal your information, you can keep ahead of them by learning the tactics described in this website to avoid their traps and social media post dangers.